a hot pink balloon with an MFT gift voucher inside! him, and he's excited that he'll get to see Mickey Mouse in Tokyo's Disneyland! as from white card stock to inlay the letters. longest was tying the strings to each balloon and adhering them to the bear's paw. with the string--the outcome was well worth the effort! 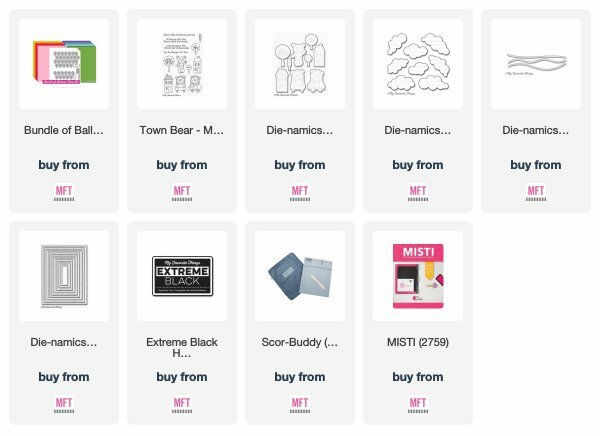 We know you'll enjoy this versatile Card Kit and look forward to seeing your projects. Thursday, Mar 22nd for a chance to win a $50 MFT gift voucher! Thanks for stopping by during the countdown. Happy shopping and good luck! Yes, my favorite bear set and he looks so cute carrying a bunch of balloons! Donna, you never disappoint! Your card from yesterday is stunning and today’s card is SO adorable. I cannot say enough about the versatility of this kit. Two completely different cards - both beautiful. Bears and Balloons my favorite! It all killing me..now I just have to wait for the balloons to fly my way! Double Bs... Bear and Balloons.... SO CUTE! a card with his name on it! CUTE card! 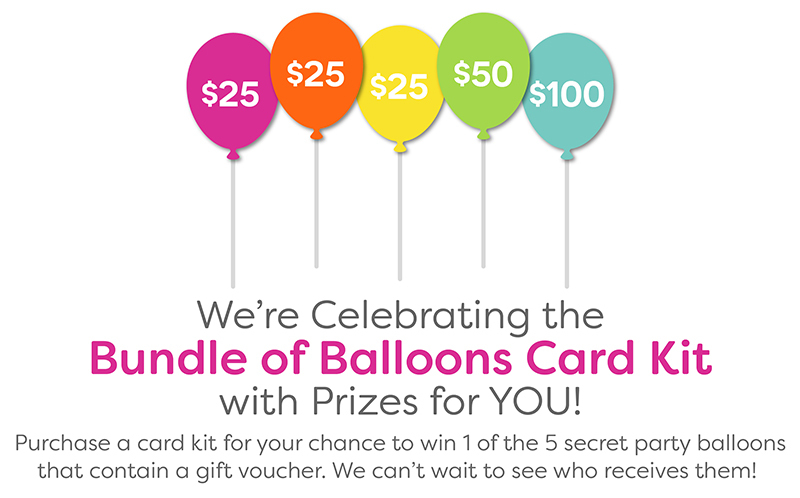 I love the idea of personalizing card with balloons! so sweet! love the name in the balloons! OMG a flying bear, so cute!! And with a name! Love! Love this adorable bear floating off! Cut scene and idea, executed wonderfully! What a darling card! Love this sweet scene you created! So CUTE! My granddaughter would love to receive this card. Love the endless possibilities to personalize cards with this set. Oh wow Donna! You card is just too cute! Love this kit! I love the wonderful scene you created here. This is so cute. 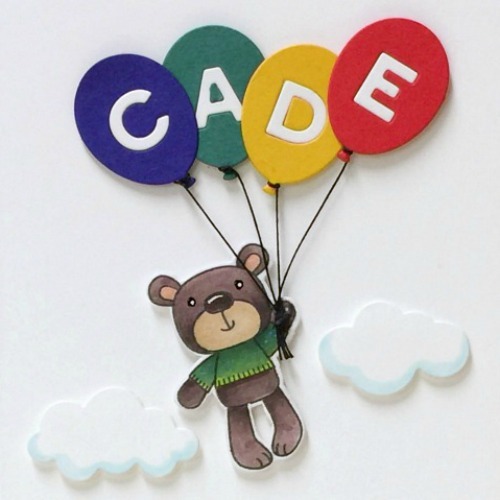 What a cute way to say bon voyage to Cade...adorable card. Such a cute card! I can’t wait to make some personalized cards with this fabulous kit! Oh how CUTE!! I LOVE that sweet bear above the town. GREAT coloring!! I love 4-year-old priorities. Trip to Japan: eh, whatever. Getting to see Mickey and Minnie: YES PLEASE! What a sweet card. He's going to love it. Thanks for sharing this with us! Cute and wonderful scene--I like the primary colors. So cute, Donna! Kids love having their name on anything & your card is adorable! What a great card. Love how the bear is flying through the air with his bundle of balloons. Very clever. So cute! Ĺove your background littlest scene you created with the bear floating in the clouds with his balloons above those cute little houses. Love theses balloon dies! 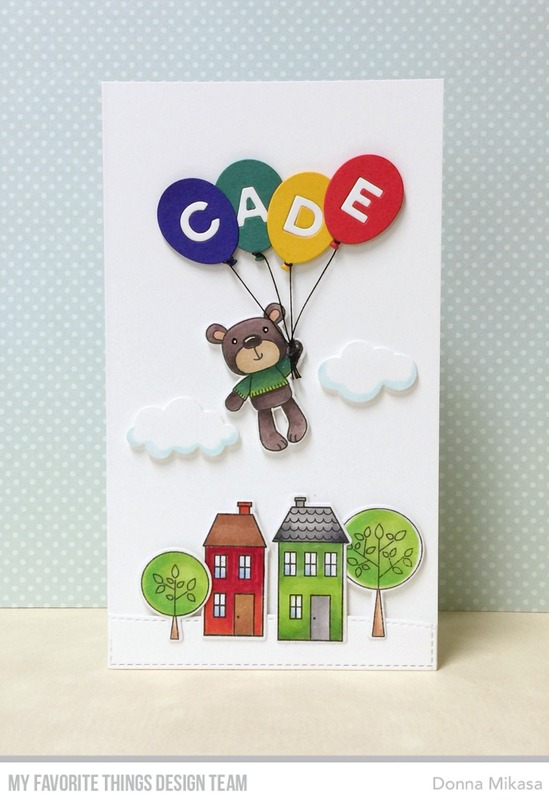 Lovely personalized balloons birthday card!